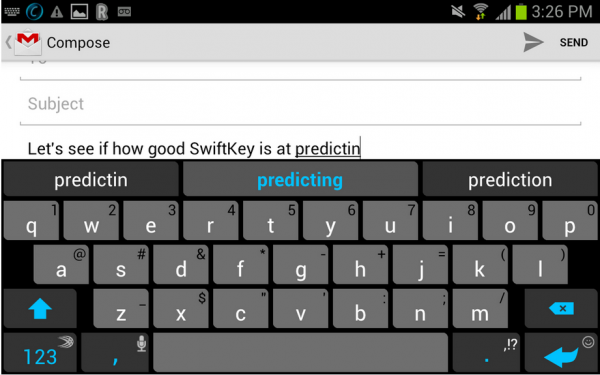 If you do not know about Swiftkey, let me tell you that it is an iOS and Android keyboard which won the coveted award for the most innovative app and also appears to be Google Play Editor’s Best Choice app. 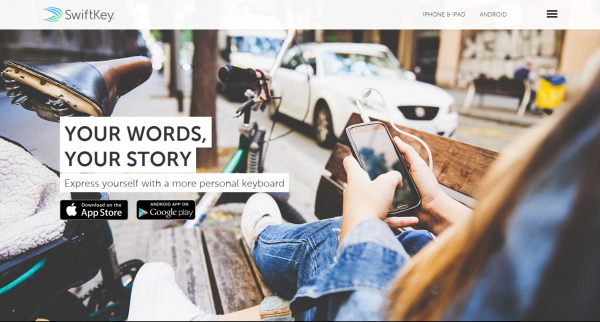 The app is capable of not just recognizing the patterns in your typing but also learns itself how words are made up which sets it apart from all the other apps in the category. 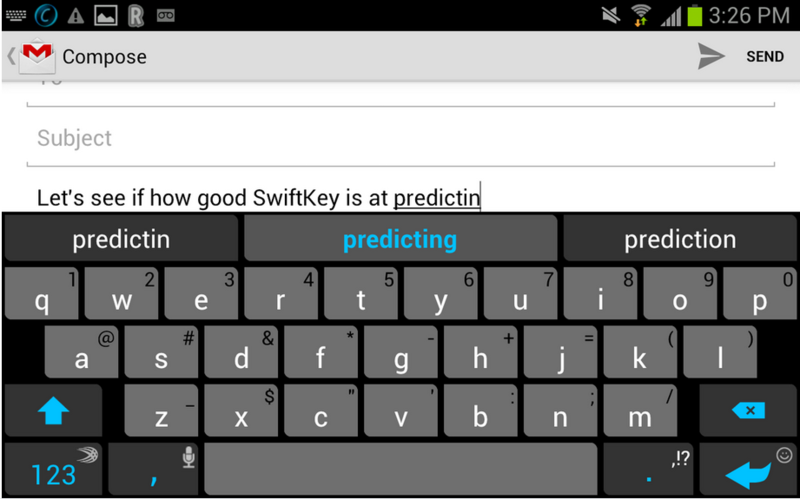 Swiftkey is remarkably intelligent in guessing the next word that you may be typing, sometimes before you even type it. Alongside smartphone typing prediction, the app is also capable of figuring out your writing style from your SMS, emails, and social media accounts, only if the option is activated. You can now make smartphone learn typing plus fix iPhone typing errors in one place. With its feature ‘Layouts for Living’, the app gives to choose three different layouts to be fitted for any size of devices. Previously, if you had an Android smartphone and a tablet, you were supposed to download two different apps. However, the developers then came up with one solution for all problems. The Swiftkey keyboard comes with different keyboard layouts so you can choose between and make it easier to press keys on larger screens. Moreover, the app also allows to undock the keyboard to move it freely around. You are also free to choose from the five different sizes and two different typing modes namely compact and thumb. The mode ‘thumb’ splits the screen keyboard into two slices so that you can type easily while holding both the sides of your device. The ‘compact’ layout shrinks the resolution of each key so that you can drag it on any corner of the device and then use it with one hand. An arrow appears in the mode that helps in switching sides by press & hold mechanism. These two modes make it extremely easy to type in whatever you want. The app not only corrects the iPhone typos but also saves all your settings on the cloud so you can avail them from any device. Swiftkey syncs all of your personal typing details to make it possible that you go through a perfectly consistent experience of typing across any device you use. Now the worry to train all the keyboards’ devices will be fumed away. All you need to do is enable the cloud functionality in the settings menu and keep transmitting what you type & save.